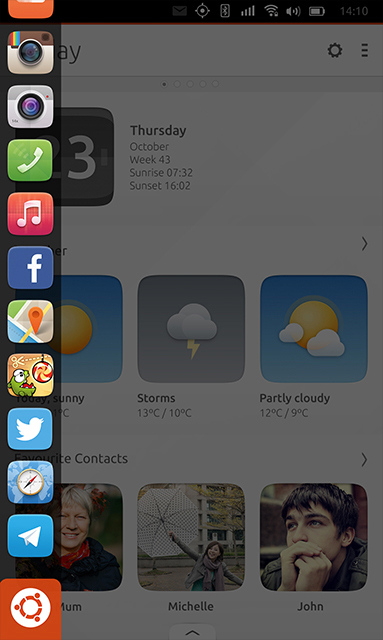 Ubuntu provides a new way of enjoying content and services on your phone. Ubuntu's scopes give you related content on one screen, instead of hidding it behind different apps. Ubuntu scopes serves up content in a unique way that frees you from the traditional app grid. Access everything from movies to music, nearby attractions and social media without having to go through individual apps. Discover what’s going on around you – from restaurants and bars, clubs and concerts to transport options to get you where you’re heading. Latest news from from a range of different sources – use the settings within this scope to create a tailored newspaper just for you. Listen to music from your library, download tracks from 7digital or catch the latest gig with Songkick. Kick start your day with all the essentials,including your reminders and tasks, recent messages and calls, to weather and news headlines for the day. 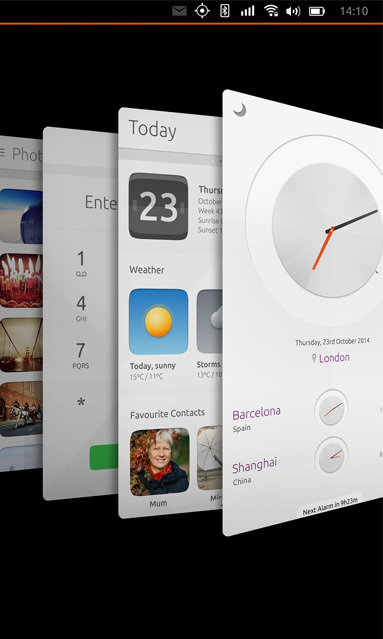 Ubuntu focuses on what you want to do with your smartphone, without the need for buttons. Simply swipe across the screen to access all the features, apps and Scopes. 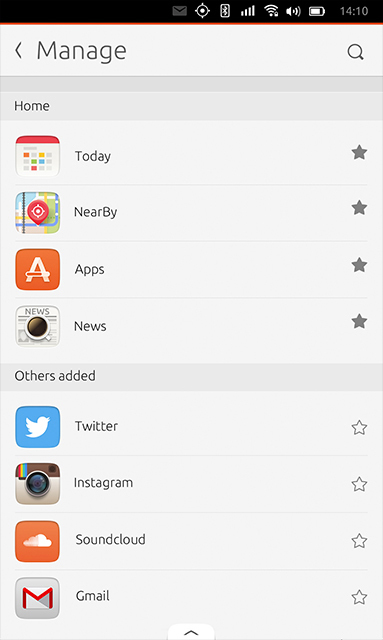 Swipe from the left to reveal the Launcher providing you access to your favourite features and apps. 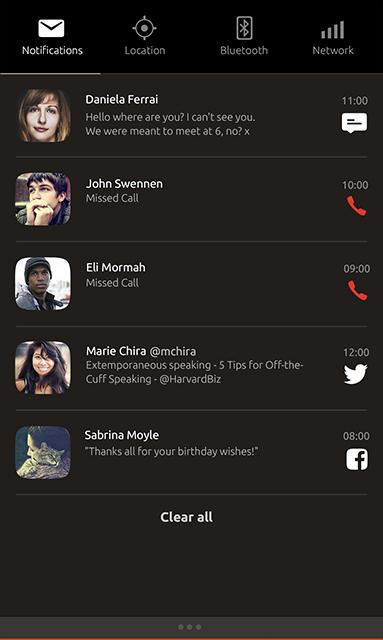 Navigate the phone from the various edges of the phone. Swipe down from the top to access notifications and key phone settings. Ubuntu Store is growing every day. Although apps like WhatsApp, Google+ or Candy Crush aren´t here yet, you get many others such as Telegram, HERE Maps, Cut the Rope and web apps like Facebook and Twitter.